The FT4000AB (ADBLUE) can be supplied as a pump only or as an integrated adblue pump and fuel management system which is compatible with all other systems in our range. The FT4000 AB is designed as a simple yet sophisticated fuel management system and combination adblue pump, intended to provide complete control for commercial transport organisations dispensing adblue. 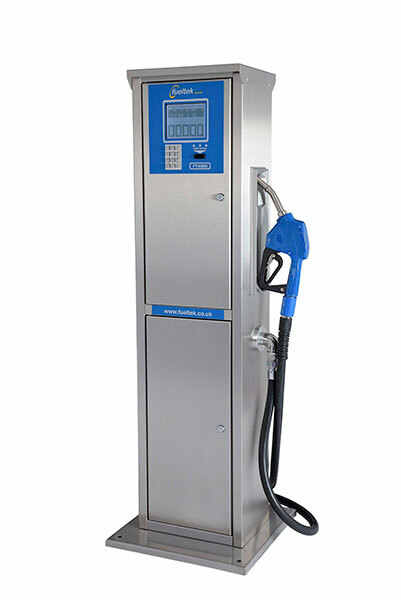 The FT4000 ADBLUE comprises hardware and software and can form part of a network with other systems in our range, the hardware is a highly specified Fuel Access Control Terminal ( FACT) combined with a good quality/ high accuracy adblue pump or alternatively is avaialble as a dispenser with solenoid control if a remote submersible adblue pump is used. The FT4000 AB communicates with FUELTEK FMO Browser based software, which is common to all our products and is accessible from any location with internet access. The FT4000 AB is specified as a combination adblue dispenser/ fuel management system. The FT4000 AB is a single pump controller (1 internal pump). 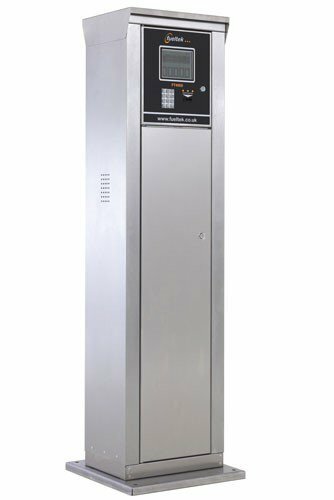 The FT4000 AB system incorporates a Graphics display which displays clear concise messages in real English, a robust heavy duty telephone style keypad which enables inputs to be made at the point of filling and our reliable datatag reader. The keypad has alpha numeric capability. The FT4000AB incorporates vehicle / driver messaging. 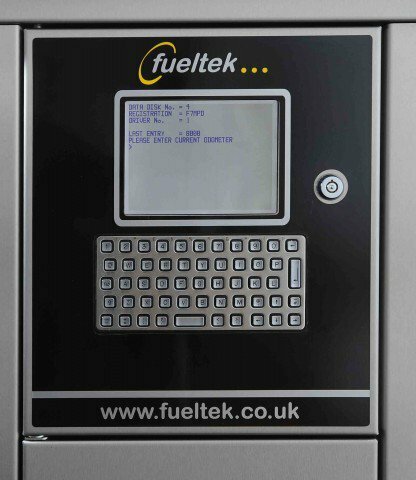 A message can be programmed at the FUELTEK FMO software and sent to the FACT. The next time the relevant datatag is used at the FACT a message will be displayed. The System has a memory capacity of 2,000 transactions between downloads to the PC, these are stored in non-volatile memory that does not require a battery back-up, which, means even in the event of a mains power fail the system will retain all data. The FT4000 AB uses a Datatag as the access method as standard, but can be adapted for card reading if required. The Datatag we manufacture is a read/write tag, incorporating high security authentication using a cryptographic algorithm and a guaranteed 100,000 read/write cycles minimum. Data retention is 10 years minimum. The advantages of the Datatag are that there are no moving parts maintenance is therefore low, saving costs in the long term on the upkeep of the system. Datatags supplied are guaranteed for the life of the system. The datatag is a read/write device and can be programmed with many operating parameters. The datatag can be programmed either remotely at the FACT or at the PC. Datatag is designed fit on a standard Keyring. Guaranteed for the life of the system. The FT4000 AB / FUELTEK FMO can support a number or communication methods. We can network Interface allowing the FT2000AB to form part of a LAN / WAN.